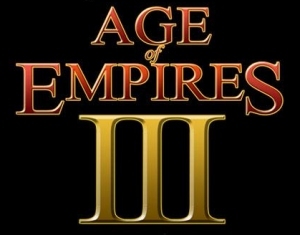 "Age of Empires III" is rated Teen, for Realistic Blood, Realistic Violence. I have been delaying this review for quite some time just because I didn't want to make a page for this game until I got really good at it, and was good enough to maybe make some guides. When I first bought it on the day of release, I never got really into it for the following couple months because of the sluggish net play, and buggy online experience. At the date of this review, the online play has been "sort of" improved, but still there is many networking glitches, it's impossible to play half the time with my clan mates. When the game first game out, hundreds, if not thousands of players were demanding their money back via the community forums or on the chat boards in the game, as their server at the time were going haywire. Randomly crashing, not allowing net games, not allowing many users on. I was very disappointed. But like I said, they have solved most of that over the months after the release. Unfortunately, the newest patch (1.05), in attempts of providing a more solid connectivity between online players, there is now some networking complications. I firmly believe Ensemble Studios just re-used the Age of Mythology net code, as it is just as buggy and even suffered from the same "Out Of Sync" errors online. Fortunately, there isn't "Out Of Sync" errors (as much) anymore with the newest patch (1.05). The game itself is incredibly fun to put in simplest terms. Although the civilizations aren't that different from each other, there is quite a few to choose from, each with their own strengths and weaknesses. Again, I am really surprised at the amount of research Ensemble Studios did for all the historic information, although some stuff may be exaggerated like the information in Age of Mythology, but that is expected in a game about mythology. The graphics are on par with any next generation game and are very decent for an RTS. 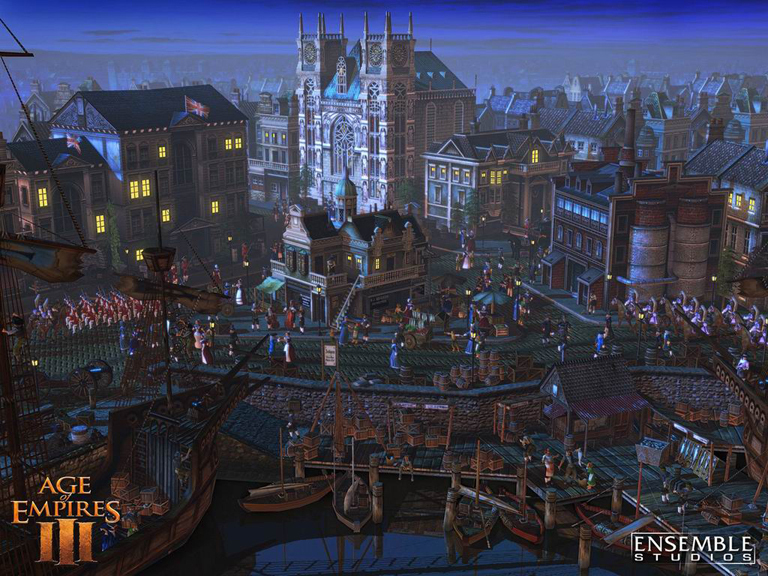 Although most RTS games released are usually developed with older computers in mind, Ensemble Studios definitely did not. As a result of this, many graphic cards will not work with this game, including any integrated graphic card. This is a very beautiful game, the atmosphere they have created with the high resolution textures, sprites and shading effects really paid off. This game is definitely visually stunning . I have to say I am generally disappointed with a couple more things: The chatting system is somewhat hard to figure out for a while. If you actually want to talk to everybody in the game, you must use "*" before your text, even though there's no hints anywhere that you are able to do this? Next on the list is the artificial intelligence. Not only is the AI very bland after awhile, there's no variety to it, once you figure out how the computer AI works, you can beat them every time, i think some things should be left up to randominity. I won't stop there with the AI. Lets move on to unit AI. When I place my guys around enemies or enemy buildings, I want them to attack instantly, not wait a bit. Or when I place my cannons or heavy artillery within range, I want them to automatically attack, not just sit there expecting to be moved further up for some reason? Although I don't much use the attack key ingame that was added, I have heard that it is programmed very poor, which wouldn't surprise me. The last thing that really bugs me is the no auto cycle or auto train unit feature that Age of Mythology: The Titans Expansion had. I was sure they were going to leave this feature in for their further games, I guessed wrong. Perhaps they will add it in the upcoming Age of Empires 3 expansion . Even though I list all of these complaints and negative aspects, the gameplay is really what drives me to play more and more. I love the gameplay featured in this game. To the theme, the units, the civilizations, the experience feature, the cards, the city customization. There is just so much in this game that isn't seen in any RTS, and they generally pulled it off quite successfully. It's just the little things (which feel more like big things) that drag this game down.